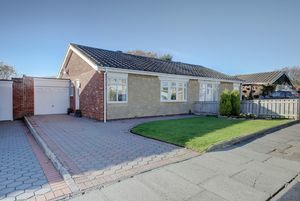 This extended two bedroom semi detached bungalow is situated in a cul de sac location on the popular residential 'Hadrian Park' area of Wallsend, with its ease of access to the A1058 Coast Road to reach both the City of Newcastle upon Tyne and the nearby coastal towns & villages, as well as the A19 and the Tyne Tunnel to reach further afield. 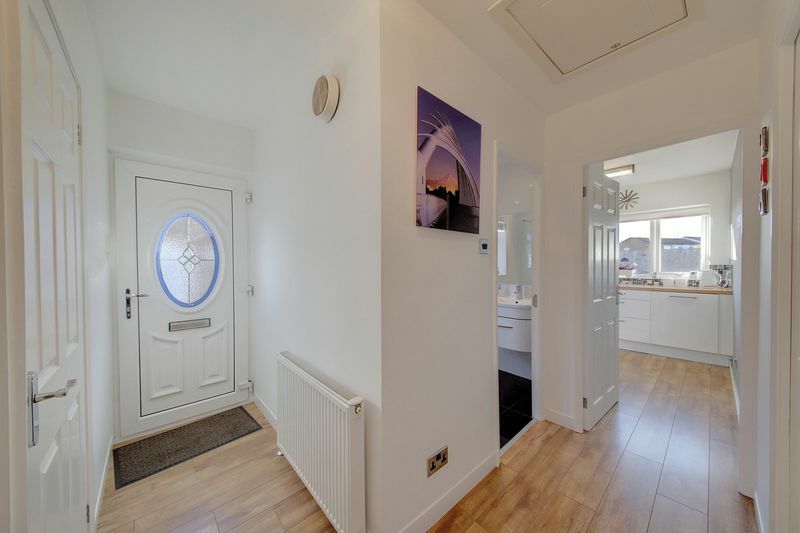 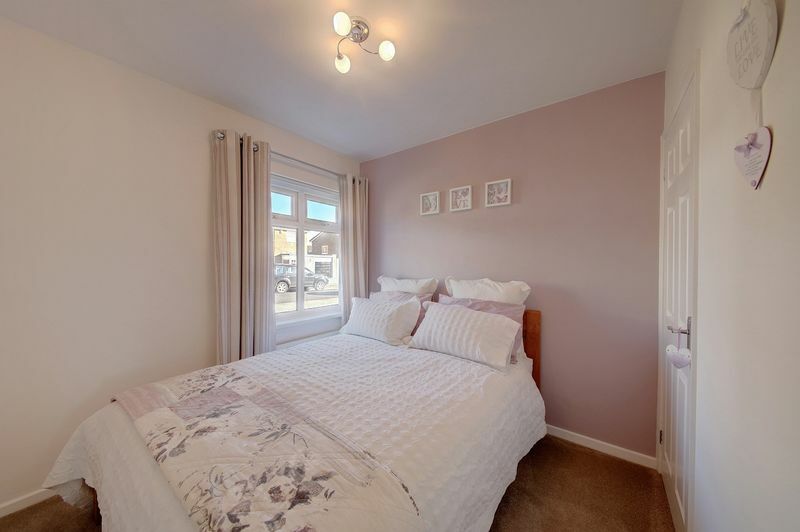 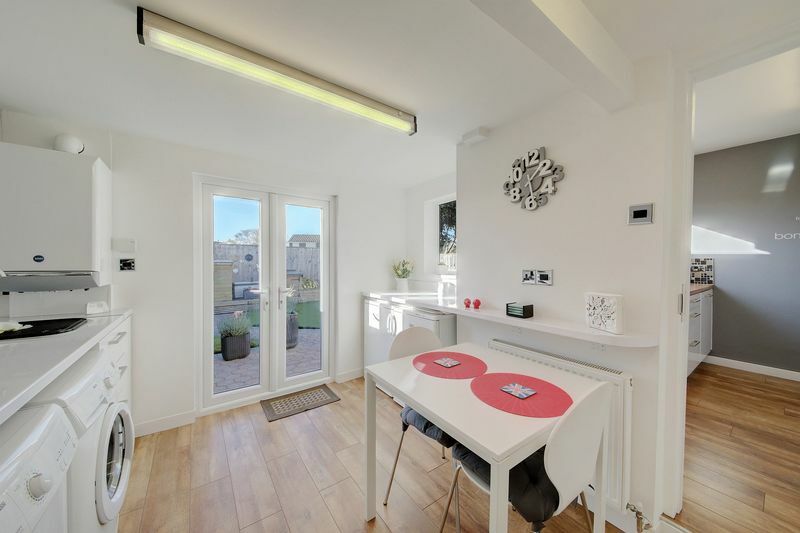 Sympathetically extended with a versatile layout, this immaculately presented property is accessed via door to the side into the main hallway with its walnut effect laminate flooring and storage cupboard. 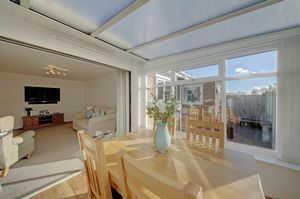 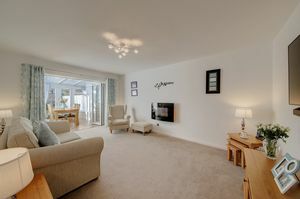 The generous lounge is to the rear of the property with a wall mounted feature fire, tv / media points and this leads on through bi fold doors to the welcoming conservatory overlooking the delightful garden. 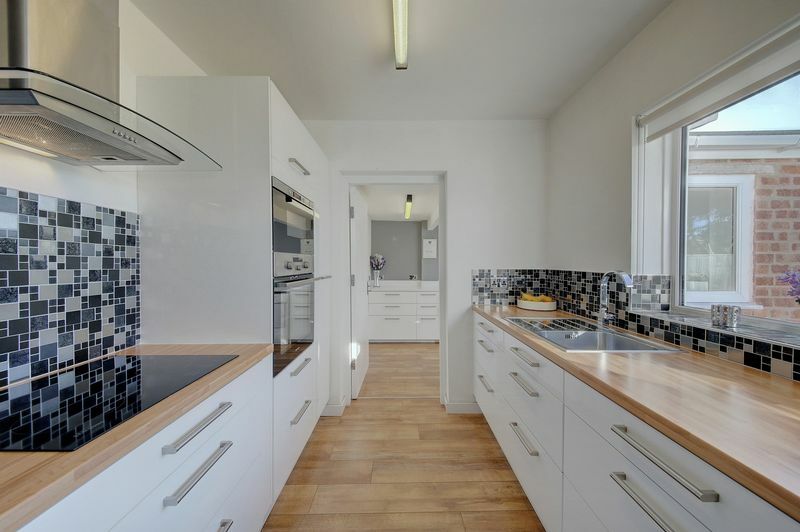 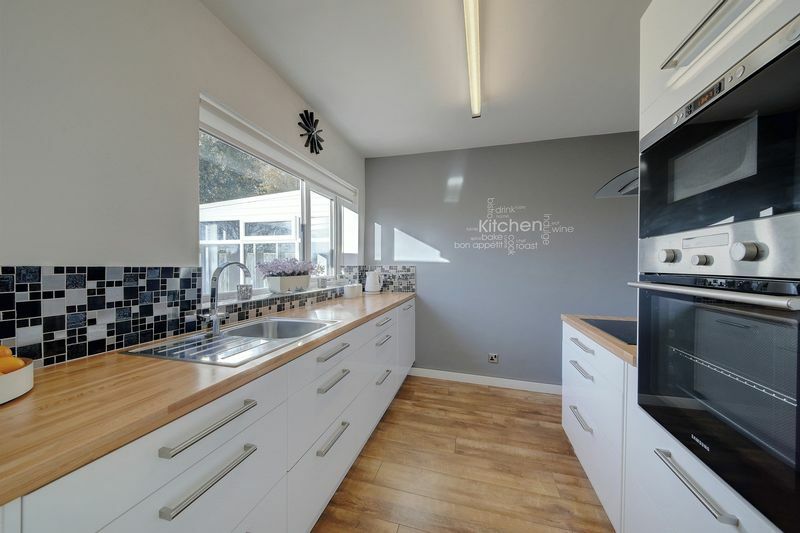 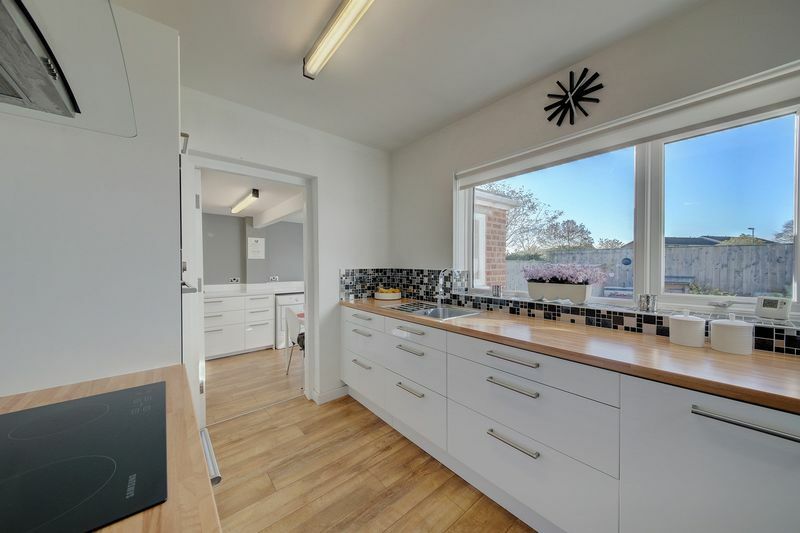 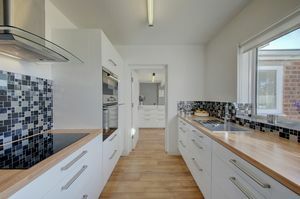 The modern fitted kitchen offers an array of fitted cabinets with integrated oven, microwave and hob with glass and stainless style extractor over, pull out larder cupboard, tiled splash back, laminate work surfaces with stainless steel sink & drainer. Into the breakfasting / sun room which offers a range of matching fitted kitchen cabinets, white work surfaces, plumbing for automatic washing machine under bench area for fridge & freezer, stainless steel sink, breakfasting area with French doors out to the rear and an additional double glazed window. There is access to the storage area which has an up & over garage door. 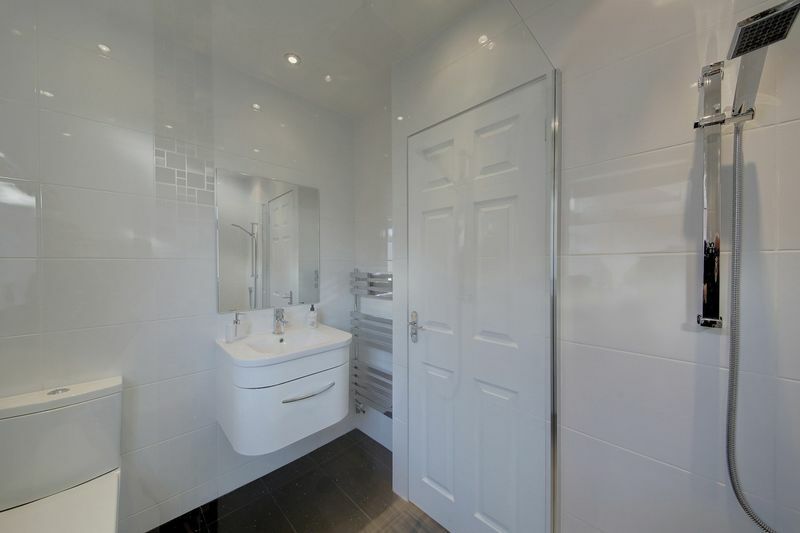 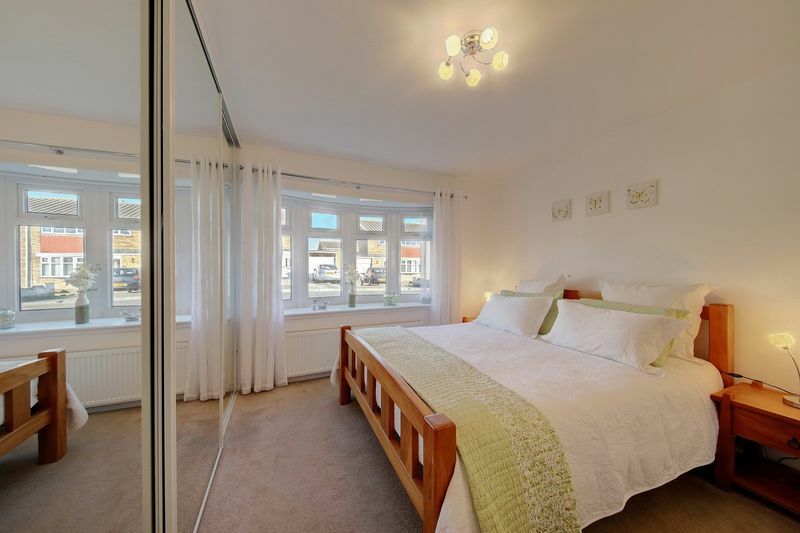 To the front of the property is the master bedroom, boasting wall to wall fitted sliding robes with mirror doors, whilst the second bedroom has a built in storage cupboard. 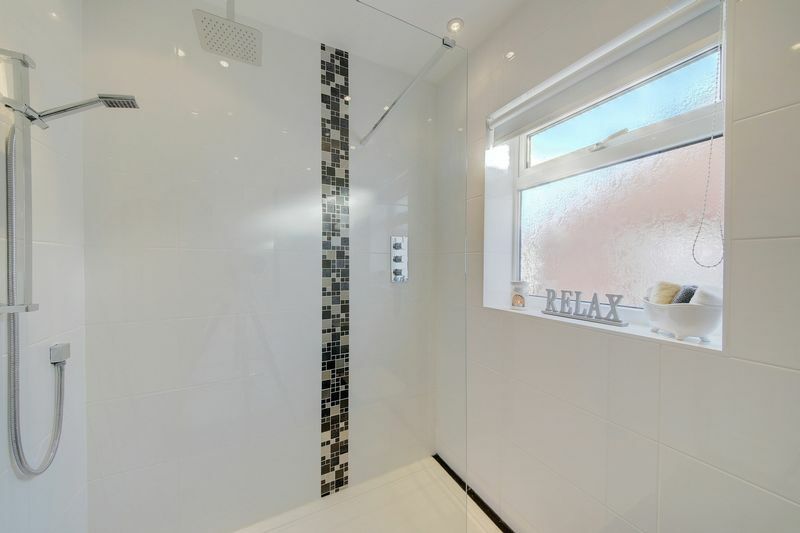 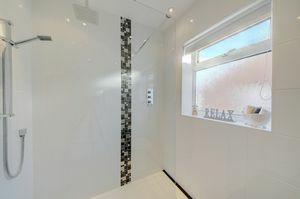 Into the modern upgraded bathroom offering a 'Roman Stone' shower tray with static glass shower screen, rainforest shower, wall set controls, floating wash hand basin with storage drawer below, top flush wc, tiled walls with complementing feature panel and wall mounted mirror. Externally the property offers a double length driveway set in a hexagonal style paving which leads to the main entrance and around the open plan lawned garden. 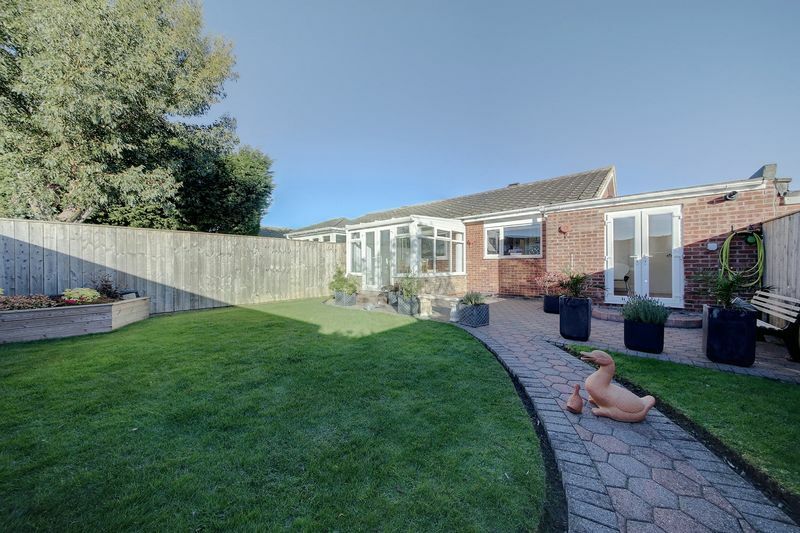 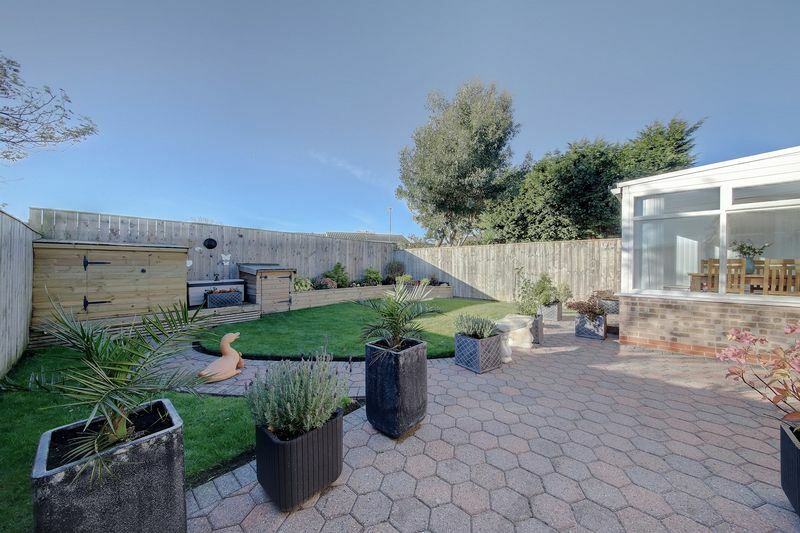 To the rear, the enclosed garden offers the same block paving with manicured garden, raised beds, seating area, purpose built storage and water tap. 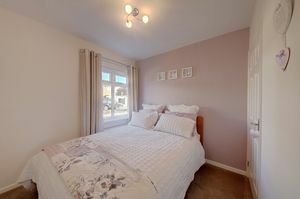 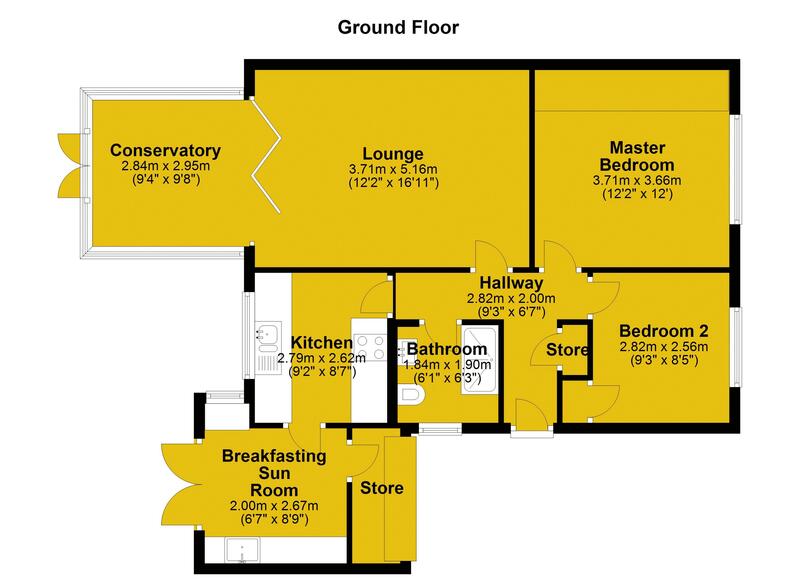 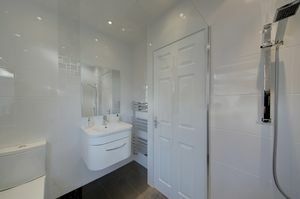 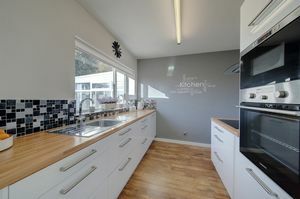 This property requires an immediate inspection to truly appreciate the accommodation being offered with no upper chain.